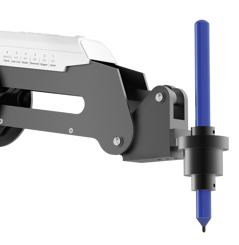 Dobot Magician V3 is a truly cutting-edge robotic arm made available for your STEAM or CTE program. It's a highly cost effective solution empowering 21st century skills and unleashing students' creativity. Dobot Magician V3 is an integration of programming, mechanics, electronics, and automation. It’s a great STEAM teaching device that strengthens knowledge across multiple subjects, through a high precision and user-friendly UI, enjoyable functions, and unlimited developing possibilities. Dobot Magician’s immersive and exploratory experience increases interest in science and technology. The advantages of high precision (0.2mm) and switchable tool heads allow for many uses: 3D printing, pick and place, write and draw, and more. Combining them brings out even more fun, learning, and creativity through unlimited possibilities. 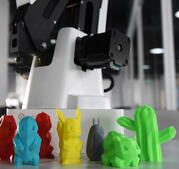 Also, Dobot Magician is the first robotic arm that can 3D print accessible to schools for students. 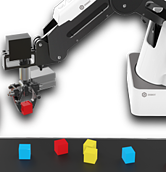 Using the Gripper or the Vacuum pump kit included, the Dobot can makes your students have a complete production line simulation. They can adjust the speed of the arm and have it picking up objects and placing them like in a real factory environment. Magician is precise enough for 3D printing models with nice finishing, it is comparable with many other 3D printers on the market. Thanks to its two extra stepper motor ports, Dobot Magician can also do double color 3D printing, which is compatible with mainstream open-source 3D printing software like Repetier Host and Pronterface. With its high precision and stability, the Dobot arm can draw smooth lines. From the software interface, students can customize the image's size and position. They can also use their own customized texts and images for drawing, where they can be as creative as they want. 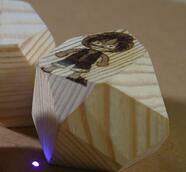 This is a great feature that allows you to bring Art into your STEM program! 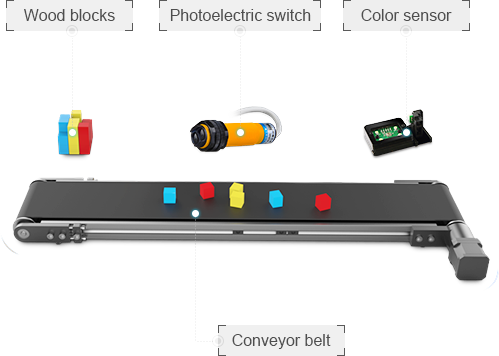 Mini conveyor belt is a great component for building an automation process with you robot. Detect whether there are objects in front of the photoelectric switch. An easy-to-use color sensor for you to categorize red, blue and green objects. These colorful wooden cubes are easy to grab, move and pile, the ideal material for you to get a grip of automation process. 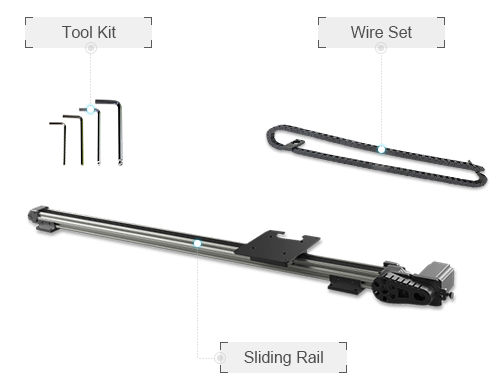 The high-precision industrial linear rail ensures the robot runs very smoothly and coherently. A full set of hex screwdriver makes it simple and easy to install. Wit drag-chain cable carrier containing and protecting the cable, you can have smooth using experience while all the wires are in good order. 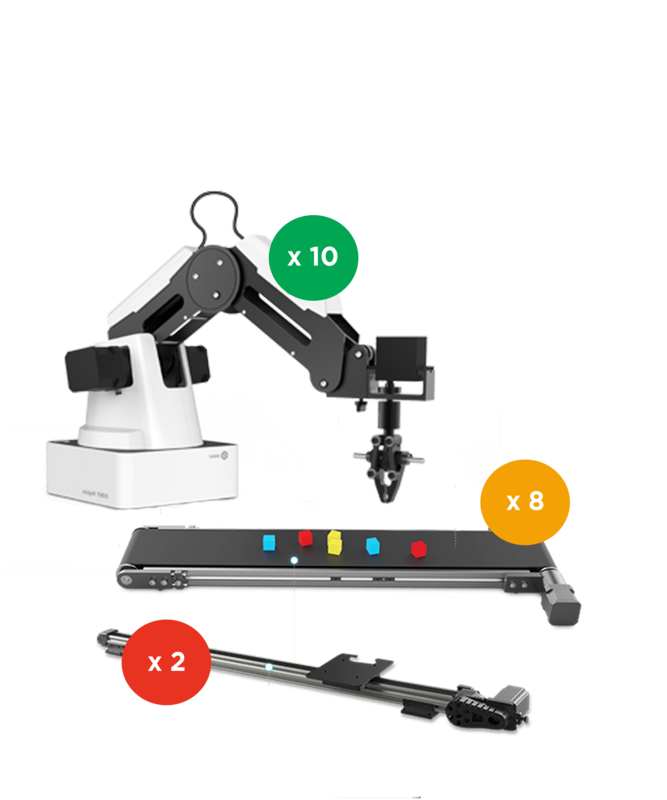 We have a spectrum of fully developed NGSS-Aligned lesson plans and activities for teachers of all types from grades 9 to 12 included in the Industrial Robotic Lab. Developed in conjunction with educators in the field, these classes have been tested and optimized to impart critical STEM and CTE lessons. An easy integration into your curriculum is the key and our online PD is designed to help you with that. This interactive one-on-one training with our STEM Specialist via video conference will help you getting started with the equipment and learning teaching strategies. Click to watch the video about Industrial Robotic Lab.